To mark the 200th anniversary of his birth this May, we’ve taken a tour through Marx’s London. German philosopher, economist and sociologist Karl Marx is best known for his 1848 political pamphlet The Communist Manifesto, which he wrote with fellow countryman and philosopher, Friedrich Engels. After being exiled from Germany because of the political nature of his writing, in 1849 Marx moved with his family to London, where he lived until his death in 1883. To mark the 200th anniversary of his birth this May, we’ve taken a tour through Marx’s London. 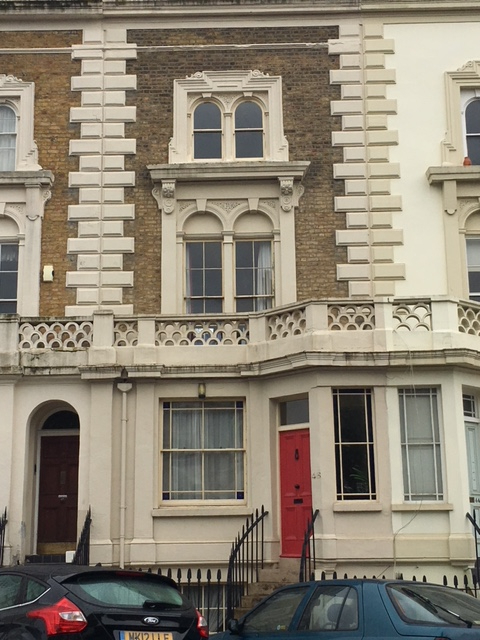 The Marx’s first London home was 64 Dean Street, where they lived for two years before moving to number 28 in 1851. Jenny Marx, Karl’s wife, described Dean Street as ‘the evil frightful rooms which encompassed all our joy and all our pain’. 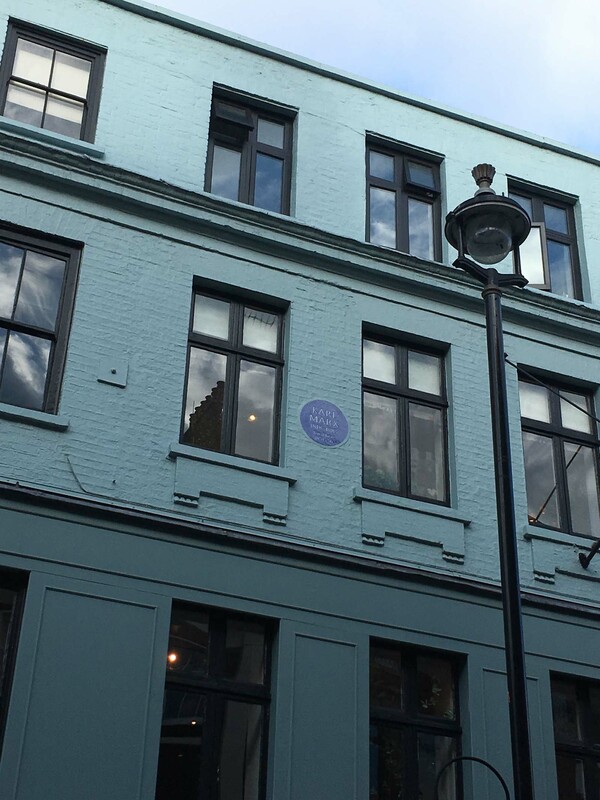 Whilst two of their daughters died at Dean Street, one was also born here, and it was here that Marx wrote the first volume of Das Kapital. With financial help from Friedrich Engels, Karl Marx and his family then moved to 46 Grafton Terrace in 1856. At the time, Marx was working as the European correspondent for the New York Daily Tribune. This was a less than desirable area of the city to live in during the 1850s, meaning rent for this gorgeous townhouse was only £36 a year! 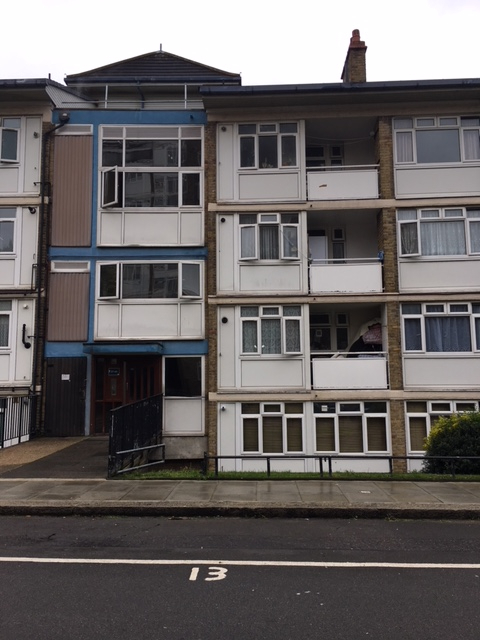 In 1864, after both receiving some inheritance money, Karl and Jenny moved their family around the corner to 1 Maitland Park Road. What used to be their small terraced house was rebuilt into a giant red brick mansion block called ‘The Grange’ around 1900. Forced to downsize in 1875, the Marx family then moved to 41 Maitland Park Road. Their house is believed to have been demolished in the Second World War and the site is now occupied by the Maitland Estate. It was here that Jenny died in 1881, followed by Karl in 1883. Marx’s grave lies in Highgate Cemetery, commemorated by a statuesque memorial and surrounded by other great writers, including Christina Rossetti, Beryl Bainbridge and author of The Hitchhiker's Guide to the Galaxy, Douglas Adams. Read Karl Marx’s most famous work, The Communist Manifesto together with other of his groundbreaking and influential writing in our beautiful Macmillan Collector’s Library edition.